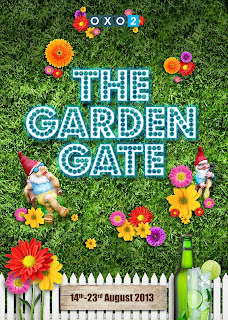 For just over one week the 2nd floor of The Oxo Tower is hosting The Garden Gate, a pop-up bar with food, drinks, and garden games - open from 11.30am - 11.30pm. "This summer sees Southbank events space OXO2 transformed into pop-up bar The Garden Gate. 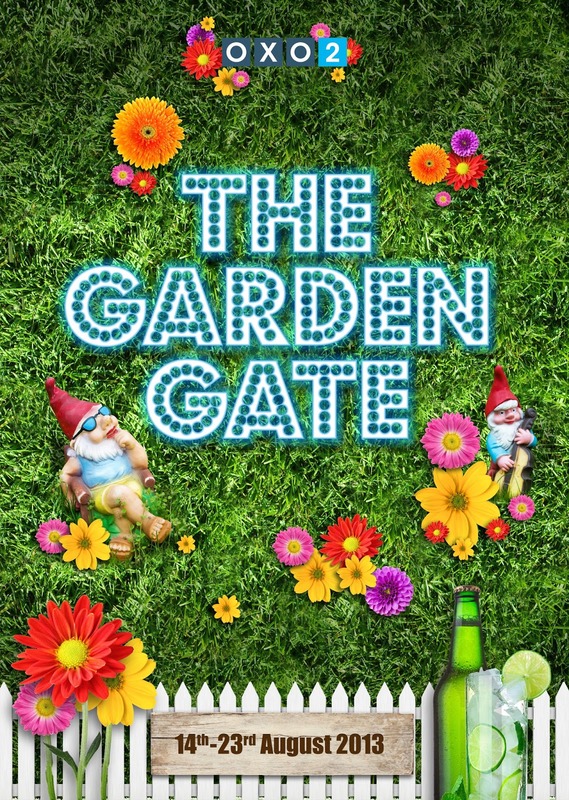 From 14th – 23rd August The Garden Gate will be serving a fun casual dining menu by Concerto owned Create Food & Party Design alongside cocktails by Liquid Chefs. Open from 11.30am – 11.30pm with food available from 12 noon to 10pm daily. An innovative grazing menu dreamt up by top London caterer Create Food and Party Design includes the Posh Fishwich – a take on the traditional fish finger sandwich using truffled breadcrumbs and haddock in a tomato and rosemary focaccia with fresh watercress and lemon mayo, as well as tender slow roasted ribs, flame grilled burgers and a lemon and elderflower posset with sweet pickled raspberries all served in flower pots and seed trays. Cocktails are to be provided by mixologists LiquidChefs, who have devised a garden themed cocktail list of fruit and vegetable based drinks, including the Raspberry & Thyme Cooler and Kiwi & Cucumber Martini. Watering cans of cocktails are available for guests to share. In addition LiquidChefs are to offer ‘Make your own Cocktail’ lessons for groups of up to 8 people. Entertainment will also be provided, with table tennis, Jenga and coits available during the day, and chill out DJ sets on Friday and Saturday evenings as well as Sunday afternoons."